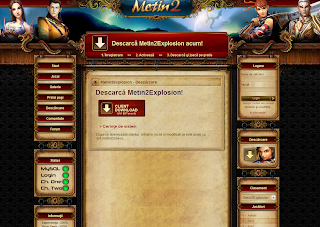 How to connect: -Connect to Hamachi: Network:Metin2Explosion-01 .................. Metin2Explosion-20 Pass:12345 -Connect to Oficial Site -Register,Download and enjoy!!! dc nu se poate face cont? Copyright © Metin2Explosion. Tema Simplu. Un produs Blogger.